Happy Friday, everyone! Just a quick post to let you know about the sale that Craftsy is having this week-end on new classes. This weekend only, Craftsy is doing something they almost never do — all new online classes start at $14.99. That's right! That just-released class you've been eyeing from your favorite instructor? It's on sale at prices so rare, you definitely don't want to miss out. These deals will be gone soon, so shop now! This is a great opportunity to enrol in those classes that you have on your wishlist - at deep discounts. This sale starts tomorrow, January 16, 2016 and runs until Monday, January 18, 2016, so you've got a few days to browse the new class list. I will, of course, be checking out the new quilting classes, but Craftsy offers classes in cooking, baking, gardening, jewelry, just to name a few other choices. 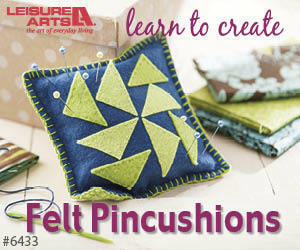 Check out the new class sale at Craftsy and start learning today. P.S. I am a Craftsy affiliate and will receive a small compensation if you enrol using any of the click through links. This helps me continue to provide you with videos and tutorials. Thanks!